Archos is prepared to launcher 5 new Android based devices for its generation 8 lineup. According to Engadget, the devices range from 2.8 inches to 10 inches. The devices that are actually Android tablets include the Archos 70 (7" at 800x480) and the Archos 101 10" at 1024x600). Both devices will be available mid-October to launch with Android 2.2, and will both contain Cortex-A8 based processors at 1 GHz. Engadget was able to have a hands-on with the devices, which were still running Android 2.1 at the time of the review. 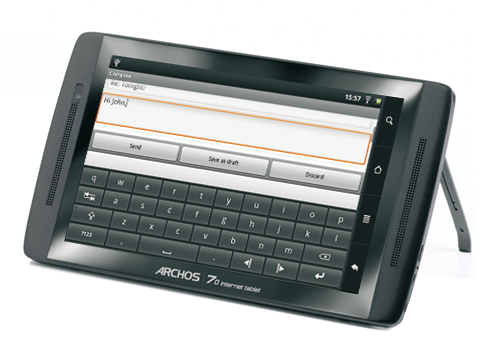 Specifications for the Archos 70 and Archos 101 are on the Archos webpage. Details for the devices are still lacking. However, Armdevices speculated that the processors inside would be OMAP 36xx series, similar to the Motorola Droid X, and built on a more efficient 45 nm process. Other key features include native 720p video playback and recording, USB hosting, HDMI, capacitive screen, accelerometer, and video chat support via front facing camera. Initial pricing is set at $275 for the Archos 70, and $300 for the Archos 101 for basic models. 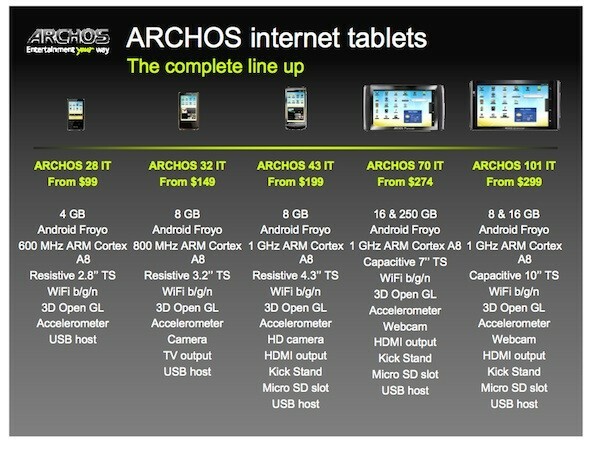 It is not clear if Archos will actually launch with these prices, as these are for the lowest price models. 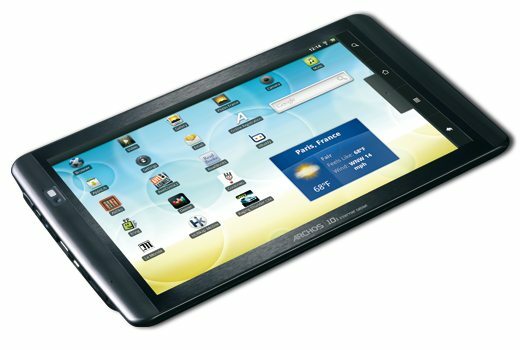 The Archos 7 Home Tablet was initially only available with the 8GB version, at a cost significantly higher than the 2GB edition. With regards to firmware development, Archos has been neither responsive nor helpful, most recently witnessed with regards to the Archos 7 Home Tablet. Archos has not released a firmware for the Archos 7 Home Tablet since May. As a result, the device is still very buggy because of the poor and non-standard implementation Android 1.5 for the Rockchip RK2808 based device. Archos has failed to comply with the GPL be neglecting to release the kernel source code thus far. We can only hope that they get better at this. If the processor is by Texas Instruments, there is yet some hope for good custom firmware modifications on this device. I've seen a review of these tablets on Engadget...and they look very good, and the reviewer was pretty impressed as well.....The only draw back, and I'm not to sure this is an issue, is that you won't have access to the Google marketplace for apps....not being to familiar with the Android platform...can anyone tell me if that is a major problem? This is one of the few tablets that we are very excited about because the specs plus low price makes these Archos tablets a potentially successful product. We cannot wait until we get our hands on these to see how they perform. pbelfi - There are a few app stores that you can install. However there is a way to get Market installed through a hack. Never tried it myself but it should work.